Perhaps the most interesting announcement, at least to readers of Android Police, is the JBL Link series (pictured at the top of this post). There are three models available (LINK 10, LINK 20, and LINK 300), but all of them have Google Assistant on board. Just like with a Google Home, you can say "Ok Google" at any time to ask it questions. Also like a Google Home, it has Chromecast support built-in. The LINK 10 will start at €169, and features 2x8W speakers, a rechargeable battery that should last around five hours, and IPX7 waterproofing. The LINK 20 will be €199, with slightly more powerful speakers (2x10W) and five more hours of battery life. The LINK 300 doesn't have an internal battery, but it does have much more powerful speakers (50W). All JBL Link speakers will be available from select retailers (and JBL's website) in the UK, Germany, and France starting this Fall. Hopefully these come to the United States at some point. If you're more in the market for a great boombox without digital assistants, JBL also has you covered. Simply called 'JBL Boombox,' this Bluetooth speaker is the company's largest, weighing in at over 11 pounds and nearly 20 inches long. It has four active transducers and two bass radiators, and a massive 200,00mAh battery that should last a full 24 hours of playtime. Like the LINK 10 and LINK 20, this has an IPX7 rating, so you can take it near pools and beaches (or bathrooms, if you want to jam out in the shower) without fear of damaging it. 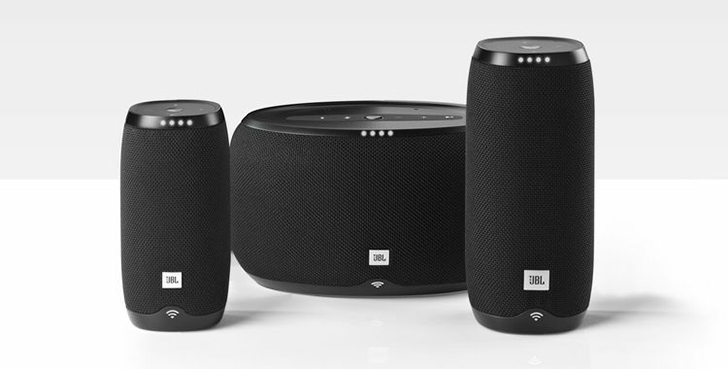 The speaker can also connect to additional JBL Connect+ speakers using Bluetooth for a portable multi-speaker setup. The JBL Boombox will be available to purchase in stores starting on September 19, and it will cost €499. Another interesting announcement was JBL's new cord-free earbuds, the JBL Free. The earbuds are rated for 4 hours of continuous playback, with the charging case providing an additional 20 hours of backup power. JBL says the earbuds only take 15 minutes to be fully charged. The earbuds can also function as a Bluetooth headset with the included microphone, but I'm not sure how great call quality would be with them. Three comfort-fit ear tips and two silicone sleeves are included with the JBL Free, and it will cost €149 when it is released in October. 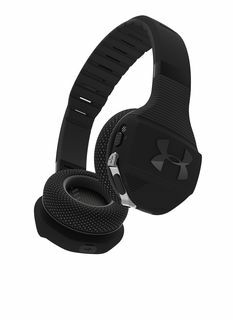 One more announcement that caught my eye was the UA Sport Wireless Train headphones. This isn't the first time JBL has partnered with Under Armour to sell audio products, but it does appear to be the first UA-branded pair of headphones. These headphones are covered in Under Armour's proprietary SuperVent fabric, which UA uses in much of its clothing. So if you ever wanted headphones that match your underwear, now's your chance. The Wireless Train also has a switch for audio pass-through, so you can hear what's going on around you without taking off your headphones. Finally, it features a 'Speed Charge Battery,' which JBL claims will last an hour of music playback on just five minutes of charging. The UA Sport Wireless Train headphones will be available in December, and will cost €199. 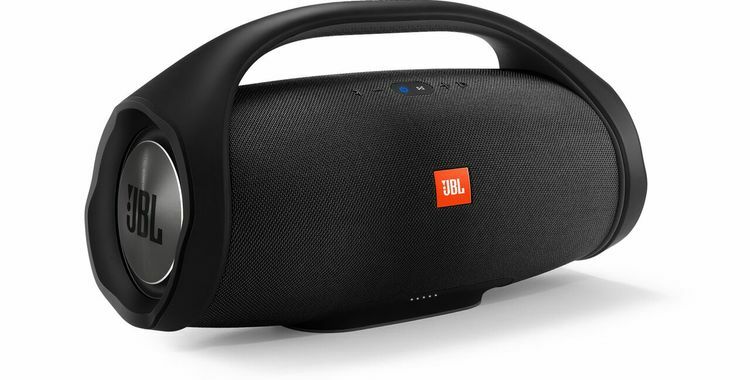 JBL announced a few more products at IFA, so I'll briefly cover the rest here. 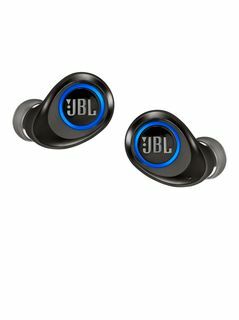 JBL Reflect Fit: This is a pair of Bluetooth earbuds connected via a cable that can detect your heart rate. It will cost €149 when it's released in October 2017, and you can find more info here. JBL Junior: These are two pairs of headphones (one with Bluetooth, one wired only) that are specifically designed for kids. The maximum volume is reduced to keep your kids from blowing our their eardrums, and are brightly colored. The Bluetooth model will cost €49.99, and the wired version will be €24.99. Both will come out in September, and you can find more info about them here. JBL E65BTNC: This is a pair of noise-cancelling Bluetooth headphones, that is supposed to last 24 hours on a single charge (or 15 with active noise-cancelling on). It will cost €199 when it's released in October, and will be available in three colors. You can find more info here. JBL Bar Series: JBL announced four soundbars, that range from €179 to €749. The high-end model, the JBL Bar 5.1, even has two detachable rear speakers to create a surround sound audio setup. You can read more about them here.